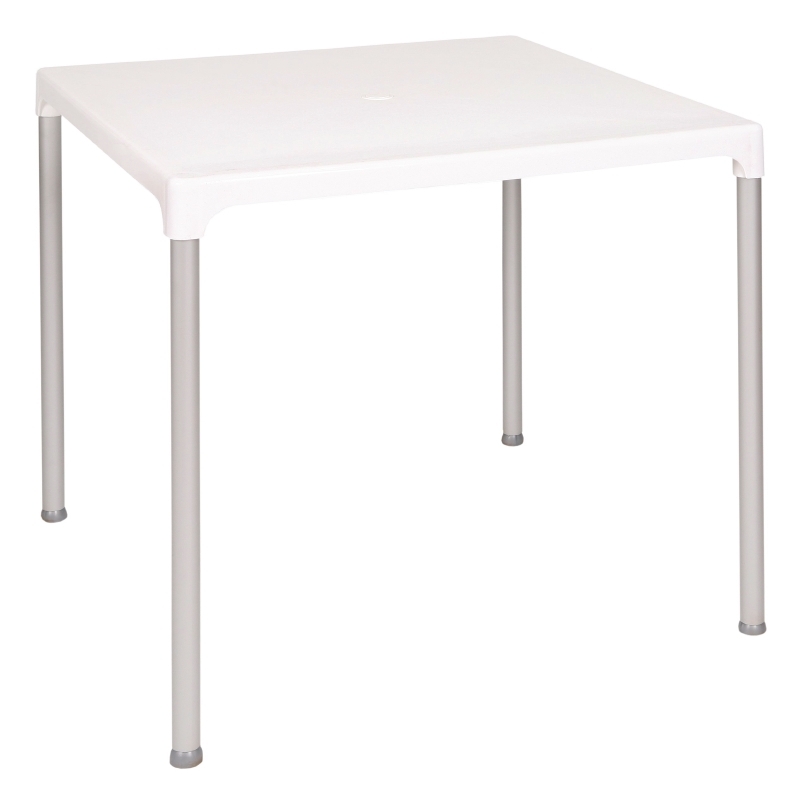 A sturdy table with three legs giving a sturdy yet practical stainless steel table. Weather-resistant, rust-resistant and lightweight. Suitable for indoors or outdoors dining or drinks. A value for money solution for catering outlets, pubs and bars or cafes. The Bolero range offers a rugged solution for restaurants and pubs. 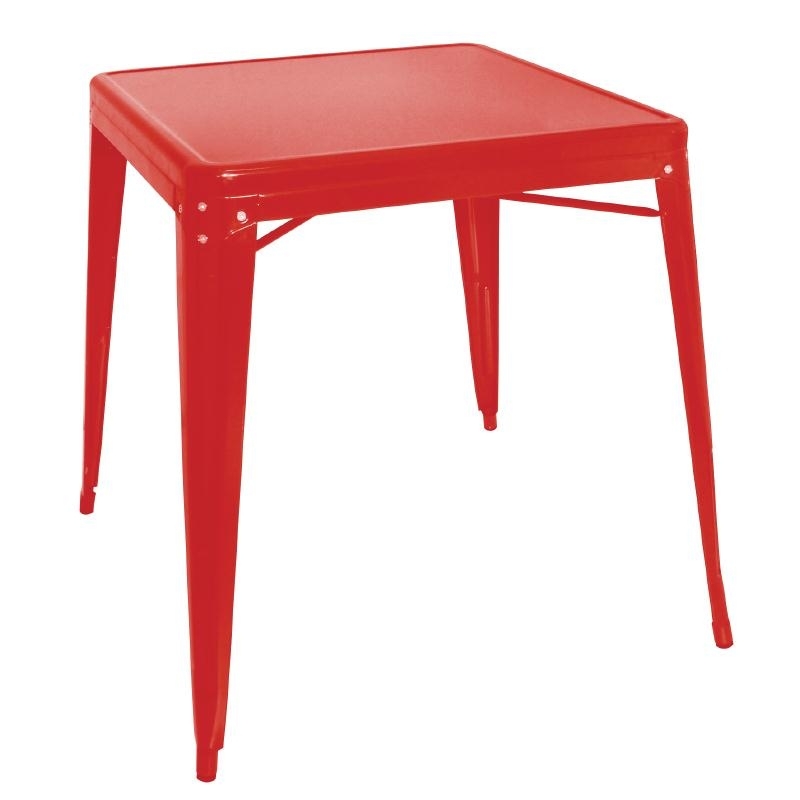 These tables are no exception being strong and sturdy. 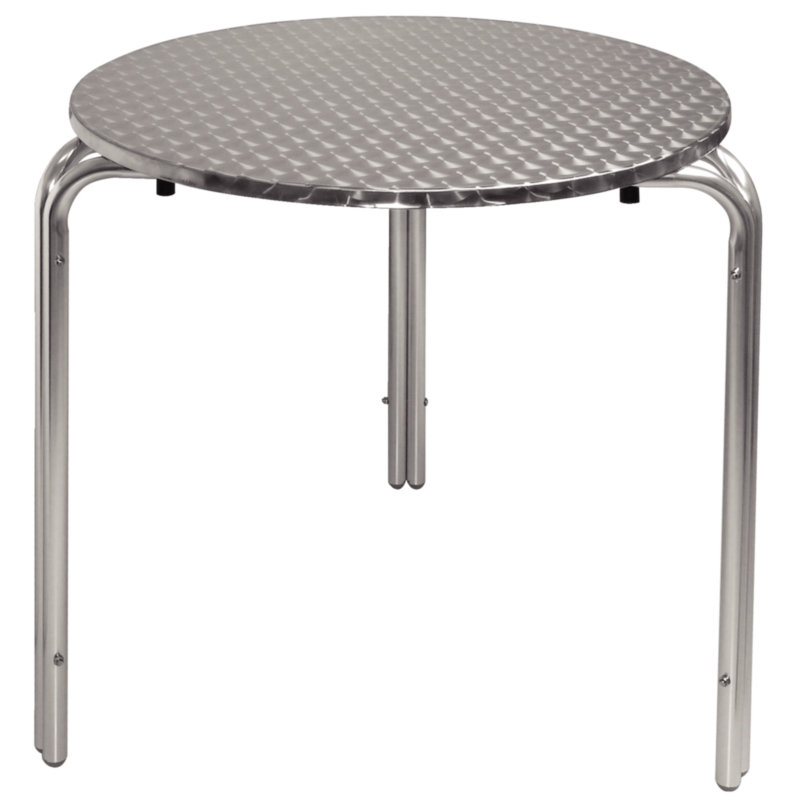 A large 700mm diameter and three legs allow for more dining space. No need for a tablecover just a lovely clean shiny table surface. Add some sturdy chairs and you are away. 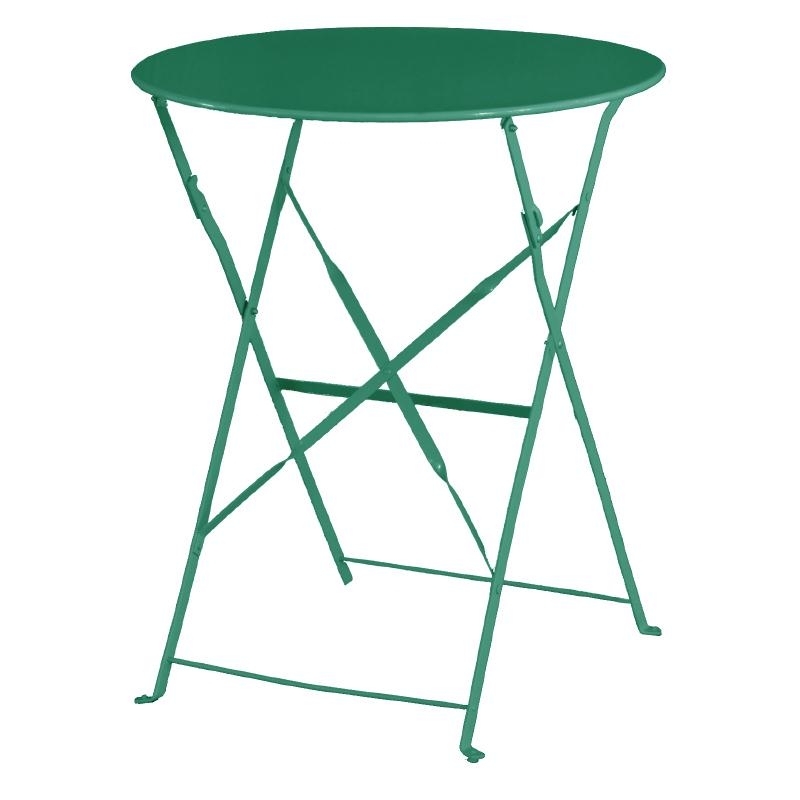 Ideal for pub patio or beer gardens. Could also be used for busy cafes or visitor attractions.